Get General Motor's assurance of quality with these GM approved high quality, long wearing carpet mats. 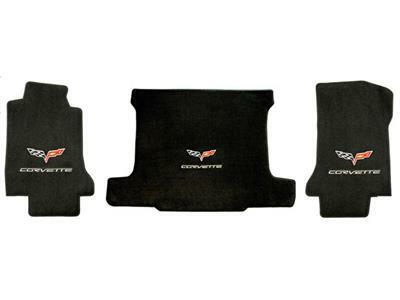 Made of 32 ounce denselypacked filament nylon yarn, these are the heaviest longest wearing Corvette mats available and carry a full two-year warranty. Mats are available in OEM carpet colors and feature a multi-layer mat backing with a natural rubber slip resistant finish.Features include grommets to match the factory mat fasteners and a matching nylon velour edging. Note: Dye lot differences may not always produce an exact match to original carpet.